I’ve been running an eco-friendly business since 2011, so why go through the trouble of being certified by SF Green Business? In a nutshell, I did it because I believe in it and because I think that you do too. Committing to environmental security, clean air, and clean water doesn’t end with recycled metals and diamonds, it extends into every decision that I make for my life and my business. SF Green Business provides framework, suggestions, and guidelines for maintaining my commitment to clean water and clean air for all humans. Going through this process meant taking a hard look at all of the chemicals used in the jewelry-making process, looking at everything from our floor cleaner to our hand soap, and making sure that they weren’t causing harm. Nailed this one! We've been recycling everything in the studio (including our metal scrap) forever. It was nice to implement a composting plan too. I've long been a believer in using eco-friendly products, but to meet this demand I had to dig into the MSDS on a number of products. Boy howdy was that a fun time. Signs went up around the studio reminding us to turn out the lights, not run the water too long and to recycle. Al Gore reminds everyone in the studio to turn out the lights before we leave. Reuse metal scrap within the studio - lots of designs start off as scraps of metal that are re-melted into new jewelry including these earrings. 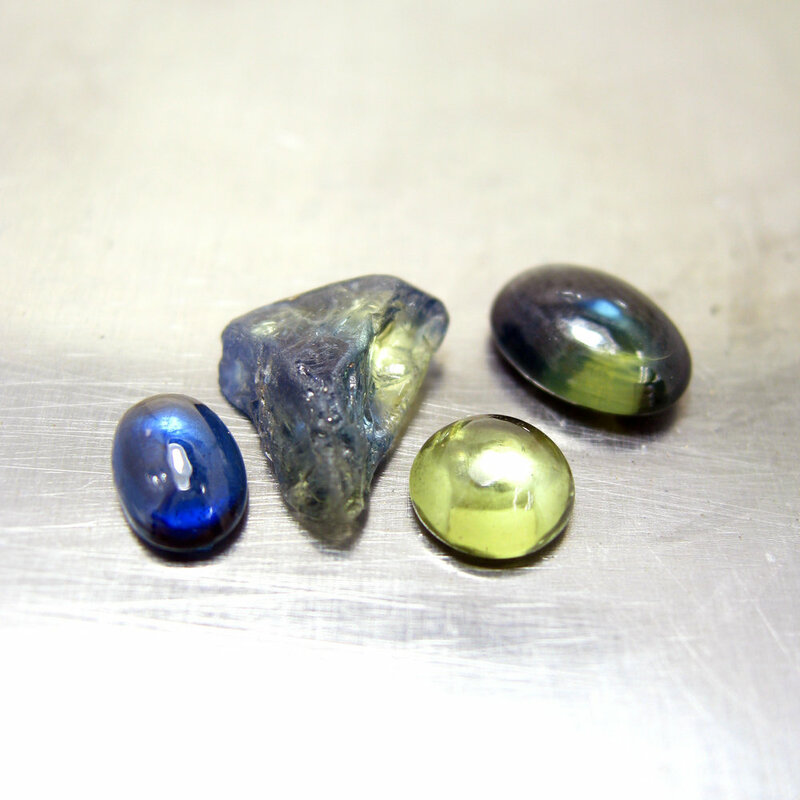 Use only (solar-powered) lab-created diamonds, recycled diamonds and recycled sapphires. 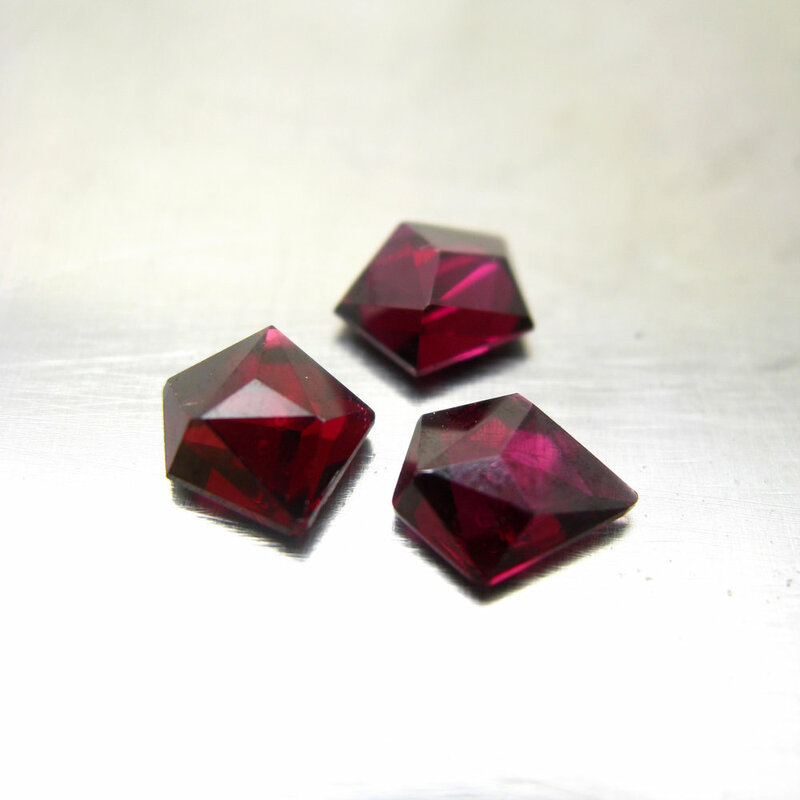 We use Fairmined and Fair Trade gemstones when they are available. Use minimal, recycled and compostable packaging to ship out your fabulous jewelry. The shipping boxes are small and compostable, the ribbon is reusable, the gift boxes are 100% recycled and even the shipping labels are both 100% recycled content and totally compostable. Supporting other Certified Green Businesses is my new mantra and I was thrilled recently with my new business cards from Greener Printer. I'll for sure be using them for future printing projects like postcards and booklets. 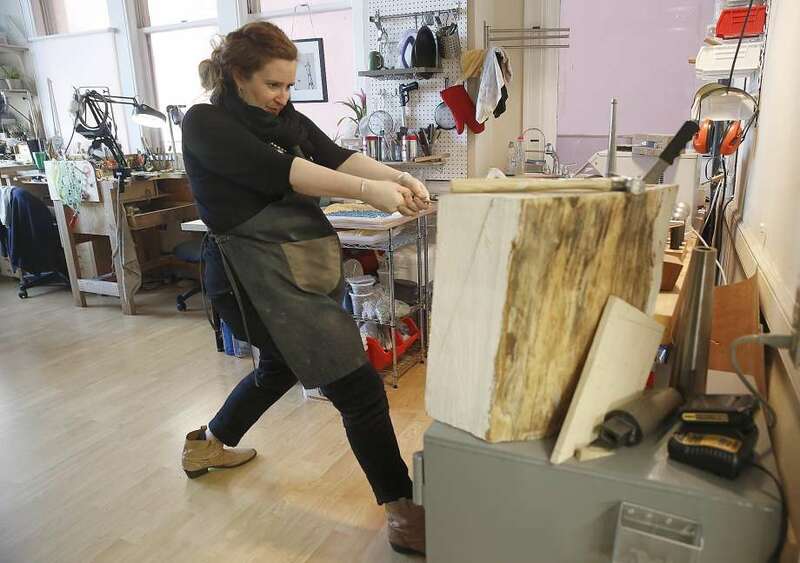 They use low-VOC inks and recycled paper, and because they are in the Bay Area, I can reduce my carbon footprint by ordering products that are closer to home. There were a lot more regulations than this and I encourage you to check out their roster of Bay Area businesses that are also certified green. This process is a four-year commitment to maintaining these standards and to continually seek out better alternatives for my business and for my life. I am thrilled to be a part of this process. What are some tips to go green that you've implemented in your life or business? Tell me in the comments! As promised from our last post, I’ll be talking about lab-grown diamonds in this post and asking--”how sustainable are they?” There’s been hype from Leonardo DiCaprio, Silicon Valley, and millennials, all in support of lab-grown diamonds as a socially-responsible and sustainable alternative that uses technological innovation to produce an identical and affordable option to mined diamonds. And I am totally effing on board! Lab-created diamonds aren’t tainted by the conflict of mined diamonds, and many are created right here in the United States. 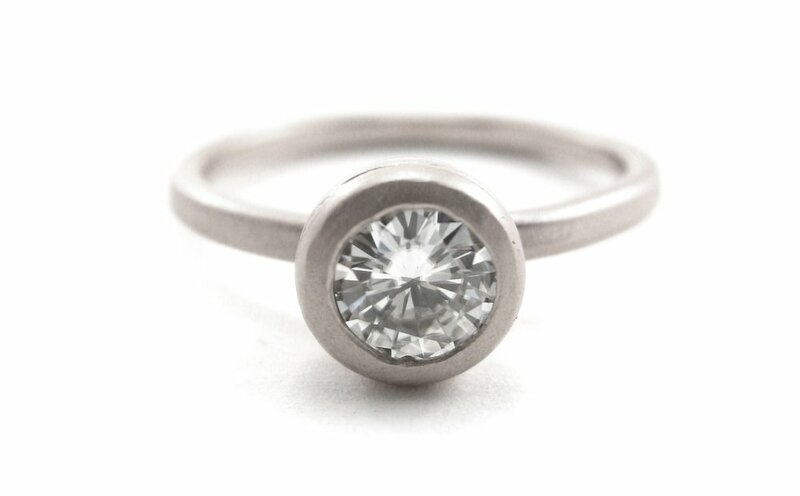 I’ve been proud to use lab-grown stones for the last five years, but I’m always concerned about where/how my suppliers produce these diamonds that we use in our engagement rings. A lot of the labs that grow diamonds do not disclose their procedures and "proprietary information". They don’t have to. While the mined diamond industry has come under appropriate scrutiny, the lab-grown diamond industry, still a baby, doesn’t have a current certification, not even one as vague as the Kimberley Process. So some, playing off the label of “lab-grown” are profiting without having to meet consumer expectations in regards to conflict-free status or sustainability practices. And the deceit doesn’t stop there. Since lab-grown diamonds are physically, chemically, and optically identical, they are being passed off as mined-diamonds and sold at those prices. These fake mined-diamonds are so believable that only trained gemologists, equipped with the most precise instruments, can tell the difference. In my opinion, it's shady when those that claim that lab-grown diamonds aren’t the real thing, bypass the experts in order to sell them as such. For those consumers interested in real lab-grown diamonds, responsible businesses will certify the quality-grade of their lab-grown diamonds. With mined diamond production slowing down and becoming increasingly costly, I’m curious to see how giants like De Beers, who started manufacturing diamonds in the 1960s, will spin and sell lab-grown diamonds eventually. Right now, De Beers and friends are speaking out against cultured diamonds in defense of their workers. According to them, mining diamonds creates jobs for more than seven million of the poorest people in the world. But I think real concern for these communities might look like preparing them for the inevitable exhaustion of mined diamonds, using higher current wages and training in alternative work. Even Botswana, a country that has experienced relative stability with it’s own diamond trade, will likely exhaust their diamond mines by 2029. Across the board, transparency and traceability for lab-grown diamonds haven’t become industry standards yet, but I’m super-optimistic that all of us conscientious consumers will demand it. I believe we’ve brought about the changes we’re seeing now and that lab-grown diamonds will continue to evolve to become a real solution for a future shortage. 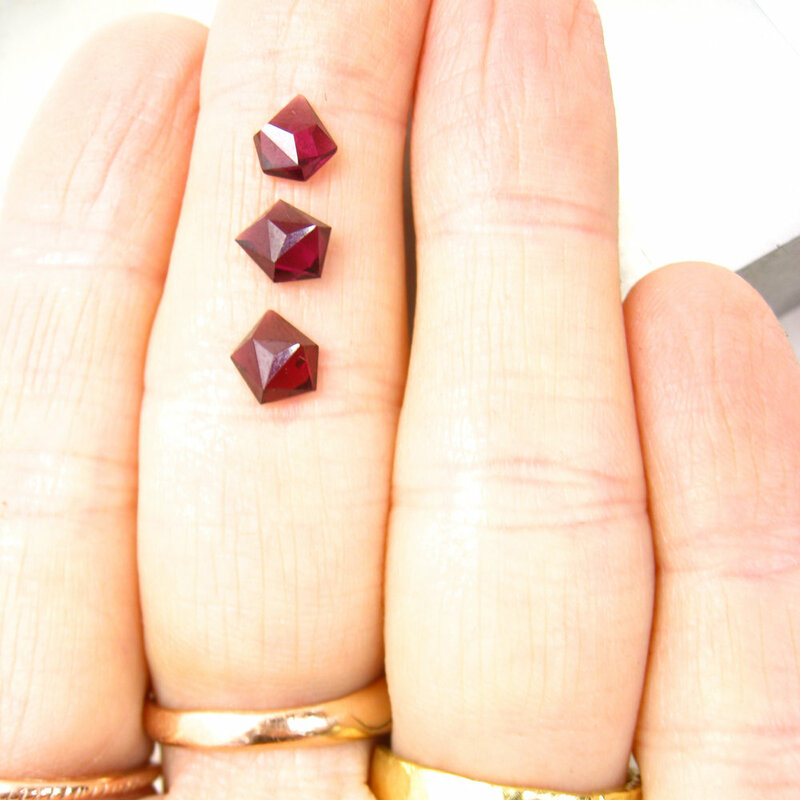 Next time, I’ll be talking about another option I endorse - traceable colored gemstones. Please tune in, join the discussion on sustainable jewelry, and feel free to get in touch. My business turned Six in March! This business has been a roller coaster these last six years and I wouldn't have it any other way. Along the way, I've learned that staying true to my values is as important as making huge sales - one without the other feels so hollow. So it was an easy decision for me to combine the sixth anniversary month with Women's History Month and give back to a cause that supports women - The National Coalition Against Domestic Violence. NCADV supports women (and men) leaving violent homes by providing resources, information and safety as well as a help line that you can call to get support. Thanks to my amazing customers, this business of mine was able to donate more than $200 to this cause. From the bottom of my heart, thank you.